Foundation Laboratory of Research and Social Action „SocLab” is a non-governmental organization, registered in September 2011. Foundation was founded by employees and graduates from Institute of Sociology, University in Białystok. Our activities are addressed to all social groups interested in the broader use of sociological knowledge in their activities, especially local communities, governments, NGOs and other institutions working for the public good in various areas of social life (including education, welfare, charitable activities). Our goals are realized through activities aimed at giving equal opportunities for vulnerable groups or those at risk of social exclusion. Improving the knowledge and competences in areas relevant to the modernization and development of the state. Strengthening civil society, development of public policies both at the local, regional, and the whole country levels. Analysis and capacity building as well as support for local community development. Initializing, encouraging and supporting cross-sectoral collaboration, particularly between academia and other private and public actors, aiming at a comprehensive and inter-environmental analysis of social phenomena (particularly in order to strengthen in Poland: civil society, sustainable development, social and human capital building, regional development, modernization of education and science as well as equalizing educational opportunities). Conversion of academic knowledge into useful and practical knowledge, increasing awareness of science importance in economic development, promoting innovation policies, overcoming prejudices in the relations of science and business, building an entrepreneurial culture. j) gathering data and information as well as conducting research on social activity, civic participation in public life and disseminating results and conclusions arising from these studies. To achieve its goals the Foundation may collaborate with other Polish and foreign institutions, on the basis of relevant agreements and understandings, as well as take care of material and financial help from Polish and foreign institutions and organizations. Interested institutions please contact us: [email protected]. – With Kamon Consulting – Rafał Kasprzak company, in particular during the „Observatory of the creative industries” project. – 2011-2012 – cyclical evaluation studies of educational workshops „Playground (Plac Zabaw)” for the Arsenal Gallery in Bialystok. – 2012 – „Diagnosis of participation in culture in Podlaskie Voivodship” on behalf of the Dramatic Theatre in Bialystok during the „Observatory culture” program of the Ministry of Culture and National Heritage. – 2013 – Research evaluation of Medialab workshops in Poland – study of current MediaLab workshops effects in Poland and possibilities for their future development towards the construction of a permanent institution. – 2013 – research „Diagnosis of private employment agencies disabled. Opportunities and dilemmas of development in the NGO sector” commissioned by the Foundation for Support of Mathematics and Computer Scientists with Physical Disability. – Podlaskie Voivodship Observatory of Living Culture in the nationwide network of Living Culture observatories – a two-year grant from the Ministry of Culture and National Heritage (the „Observatory of Culture” program) (Partners in the project: Observatory of Living Culture Foundation – Research Network – Warsaw, Institute of Urban Culture – Gdańsk, Center for Education and Cultural Initiatives – Olsztyn, Institute of Sociology, University of Bialystok, Klon/Jawor – MOJA POLIS team, the Theatre Institute, the Association of Folk Artists , Journal „Societas / Communitas”). Objective: monitor the status of culture in the country, diagnostic tests, creation of databases. – „Węglowa – the social concept” in partnership with the Association of Creative Podlasie. The aim of the project is to develop a social concept of land development after military warehouses at. Węglowa street in Bialystok in the participatory workshops formula with the use of various techniques (charette method, planning for real, participatory planning). – Partnership in Creative Poland project with with Amicus Society Association, the Capital City of Warsaw, Lodz City Office as well as with Polish Association of Advisory and Consulting. The aim is to create conditions for the development of Polish creative sector by building regional partnerships, sector strategies, advisory services, and e-learning. – „How it’s beautifully to be different” – Marshal’s Office of Podlaskie Voivodship in Białystok grant. A series of debates related to interreligious and intercultural dialogue. Since October 2011 the Foundation Laboratory of Research and Social Action „SocLab” is a member of NGOs Federation of Bialystok City. Since September 2012 we belong to Wspóltura – informal cooperation network of culture and arts institutions in Podlaskie Voivodship. Since October 2012, the Foundation conducts Regional Cultural Observatory which are a node in a nationwide project of Living Culture Observatory – Research Network. Since January 2013, Foundation Laboratory of Research and Social Action „SocLab” is member of Polish Coalition for Open Education. It is an agreement of non-governmental organisations and institutions working in the field of education, science and culture. The goal is to build its operation, promotion and activism on behalf of Open Educational Resources. Since February 2013 we are members of Polish Network of the Anna Lindh Foundation – an informal group of over 100 organizations working in the field of intercultural dialogue in Poland. In March 2013 we joined the Creative Poland – Polish partnership of the creative industry. We are working on developing the partnership in the Podlaskie Voivodship. From April 2013, the Foundation belongs to „We citizens” network – a voluntary agreement of internally democratic and independent associations supporting a culture of social activity and systemic increase of citizens’ influence on public decisions. 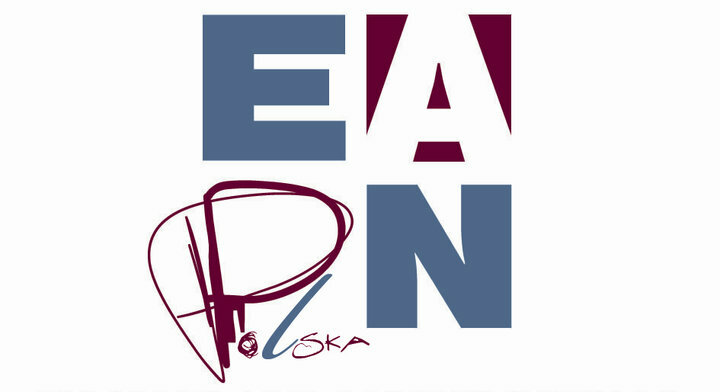 In May 2013, the Foundation has been accepted for The Polish Committee of EAPN (EAPN Poland), a part of European Anti-Poverty Network.